I told Isabel, "It's like a dagger to an Atlantan's heart if you..."
After her extraordinary talk I told Isabel Castilla, "It's like a dagger to an Atlantan's heart if you..."
"If you don't say the Atlanta BeltLine is the coolest thing EVER." "I didn't say anything about the BeltLine," she replied. "Yeah that hurts just as much." "But no two (corridor reclamation projects) are the same." "Certainly not, but it still hurts." 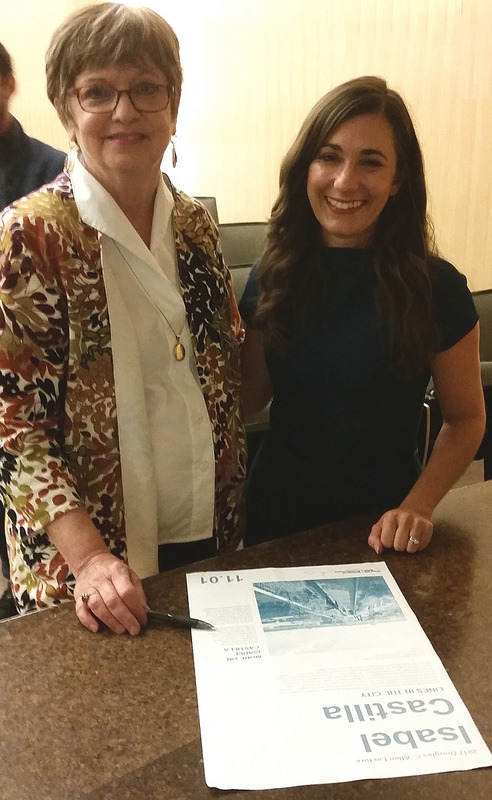 Kate Allen with Isabel Castilla for the poster signing. Isabel Castilla is Principal at James Corner Field Operations currently the lead designer and project manager the for Section 3 of New York’s High Line; Miami Beach’s Lincoln Road District; and The Underline in Miami, a 10-mile long corridor of parkland, trails and neighborhood connections. I'm embarrassed for Atlanta that you weren't there. 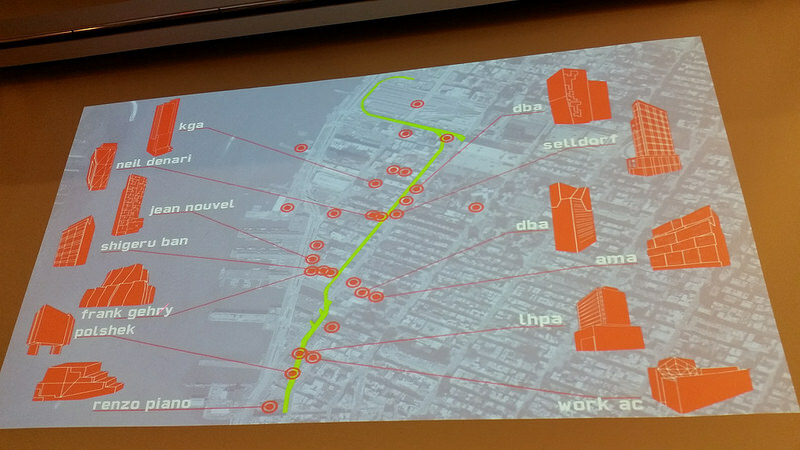 It was the annual Doug Allen lecture, and we had a High Line designer. Make plans right now, clear your calendar for the Fall of 2018 or have an excuse from the doctor. 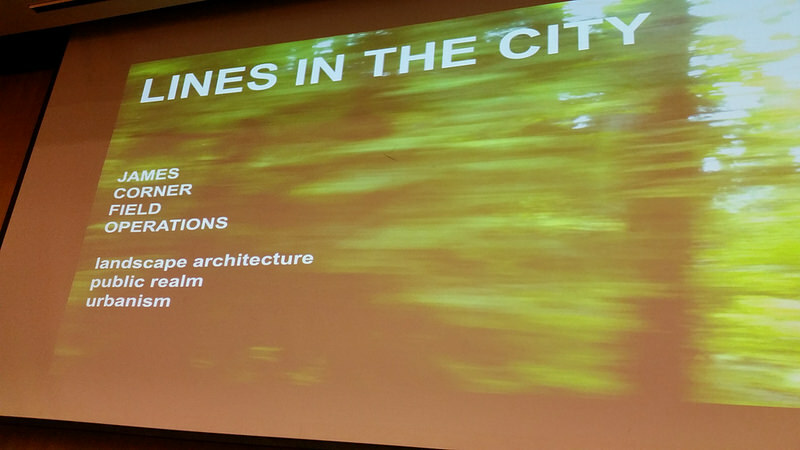 The is my first lecture about a BeltLine-Like project that wasn't given by Ryan Gravel. You should'a been there. Look who is building on the High Line. 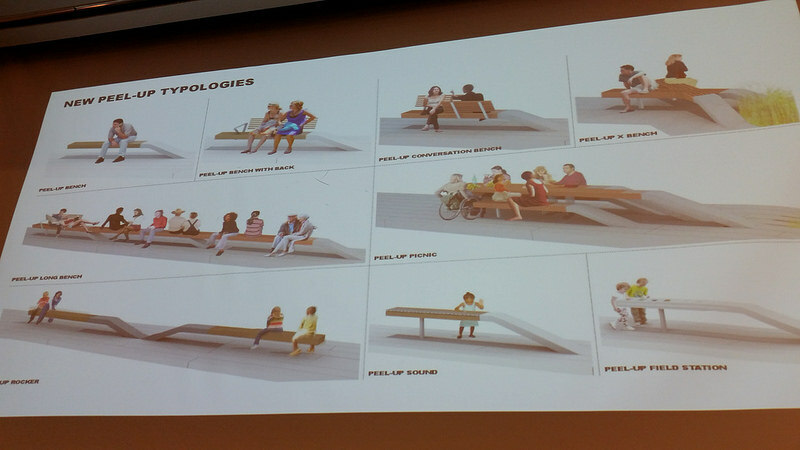 Who knows when there will be a pop quiz on peel-up bench typologies?